A sequel to the sequel? Sweet! 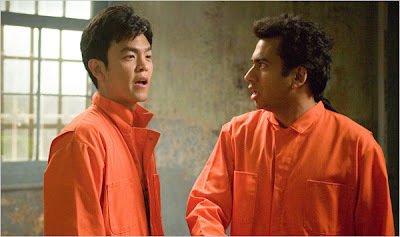 Labels: "Harold and Kumar Escape From Guantanamo Bay"
Depressing. The franchise initially worked due to its unorthodox casting and chemistry, but the political humor in part deux was obvious and flat, and even Neil Patrick couldn't bring the funny. But these modestly budgeted pix reek of sequel upon sequel, I suppose.